Rick Franklin holds a bachelor’s degree in business management from the University of Oklahoma. 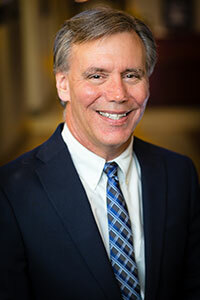 He joined Mutual of Omaha in 1984 and held sales management and claims management positions. Franklin joined the TPA operation of C.L. Frates and Company in 1999. In July 2009, he was named CEO of the C. L. Frates TPA operations. In May 2014, RMJP Equity, Inc., with Franklin as president, purchased the TPA operations of C. L. Frates. Rick has three sons. Dennis Grubbs was born and raised in Oklahoma. He holds a bachelor’s degree in business administration from Southwestern Oklahoma State University. 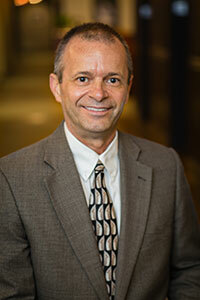 He joined Mutual of Omaha in 1985 and held sales management positions for 21 years. He joined Phoenix Life and assisted agents as a wealth management consultant for 3 years. He joined Frates Benefit Administrators in 2010. Dennis has two daughters. Corrine Livesay was born and raised in the Sacramento, California area. Her career in the employee benefits industry began in 1996 with a third-party administration firm where she assisted in the creation and administration of unique consumer-driven health solutions centered on reimbursement accounts. In 2007 she earned her Associates Degree in Business Administration. December 2011, she relocated to Oklahoma City and shortly after she joined the Health Services TPA division of C.L. Frates, now known as Frates Benefit Administrators. 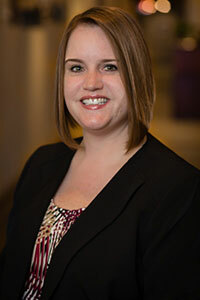 Corrine is the Director of Operations at FBA and responsible for the management of all internal operations and processes.